For a better environment, a better mind, and a better future. What are the risks of the commercial cleaning products you use in your home and around your family? Are you familiar with the toxins in them? Aside from having a negative impact on the environment, many toxins in these products are absorbed through the skin or through inhalation. What if you could easily and inexpensively clean your home the NON TOXIC way? Would you choose to do so? Complex phosphates chlorinated phosphates, morpholine, naphtha, Butyl cellusolve, sodium nitrate, stoddard solvent; these are common ingredients found in all-purpose cleaners, disinfectants, and glass cleaners. Stoddard solvent, naphtha and very toxic materials such as morpholine are considered hazardous waste. Chlorinated materials can form organo-chlorine compounds which in turn are stored in fat cells and can enter mothers' milk. Butyl cellusolve is highly toxic. Many of these ingredients are neurotoxins and central nervous system depressants which can cause headaches, lack of concentration, confusion and symptoms of mental illness. WHAT YOU CAN DO! 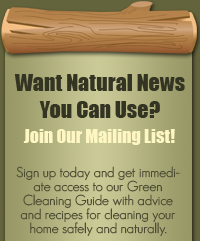 THROW OUT THE TOXINS IN YOUR CABINETS - THERE ARE BETTER WAYS TO CLEAN YOUR HOME. Anti-bacterial, Anti-fungal, Anti-microbial, Anti-infectious, Antiseptic, Anti-parasitic, Anti-viral, etc. Baking Soda is derived from a naturally occurring mineral left behind after the evaporation of an inland lake in Wyoming. The mineral is converted into sodium bicarbonate - baking soda. It is a mild abrasive and absorbs odors well. White Vinegar is a food grade product that everyone probably already has in his or her cabinets. Vinegar cuts grease, inhibits mold growth, dissolves mineral accumulation and freshens the air. Castille Soap is a mild liquid soap derived from olive oil. **GSE or grapefruit seed extract is a product that is said to destroy over 800 varieties of viruses, fungi, and bacteria. There is a controversy over this product as there are 2 studies that indicate the anti bacterial action is causes by a preservative. I personally am continuing to use this as my instinct tells me that the studies were commissioned by someone with an agenda. There are dozens upon dozens of studies touting the proof of the anti viral, fungal and bacterial properties and none of the authors of these studies discovered any constituents in GSE that the 2 studies mentioned above did. Fill bottle half way with Vinegar. 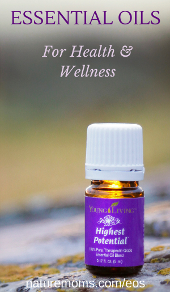 Fill balance of bottle with water and add Essential Oil. Shake and use. 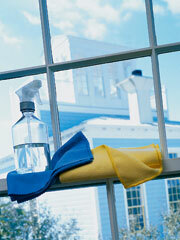 **It may be advisable to clean windows/mirrors with alcohol first to eliminate build up from commercial window cleaners. Diffuse essential oils in a nebulizing diffuser or make room spritzers by filling a spritzer bottle with water and adding EOs. It's easiest to care for your oven if you clean it regularly. Wet the tough spots with water, cover in baking soda and let sit for at least an hour. Scrub with a sponge and sponge rinse as well. Fill pump dispensers with Castile Soap, add GSE and EOs (lavender, melaleuca to name 2). More recipes to follow as I try/use them. Currently, we use store bought natural Dishwashing liquid, Dishwasher liquid and Laundry Soap. I've tried some laundry soap recipes without any luck but haven't given up hope. In the meantime, try http://www.care2.com for more recipes. Written by Lauren McGinley, AP mama to 2 spirited boys. Visit her site: http://www.healthyparenting.net for more about attachment parenting, alternative parenting, positive discipline, natural living, organic whole food eating and holistic health.